Contemplate the sunrise and the sunset in Riglos is something spectacular. Picture taken and given to the refuge of Riglos by the neighbour Rogelio Roussel. Paradise for mountain-climbers of the world. Perfect walls to practice this sport. The Mallos from the air, at vulture view. Picture taken and given to the refuge of Riglos by the neighbour Rogelio Roussel. 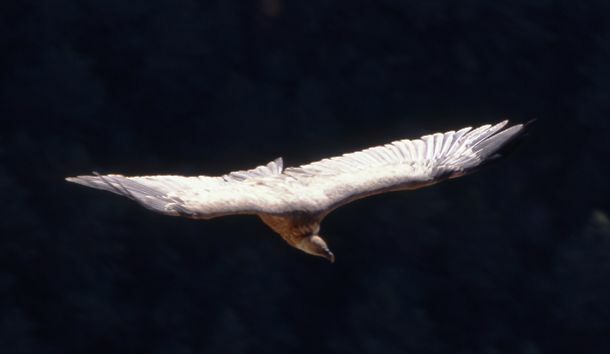 In the Mallos of Riglos lives an important colony of vultures. Furthermore it’s possible to observe others raptors. (Picture given by Rogelio Roussel). The Mallo the most photographed and characteristic. Picture taken and given to the refuge of Riglos by the neighbour Rogelio Roussel. 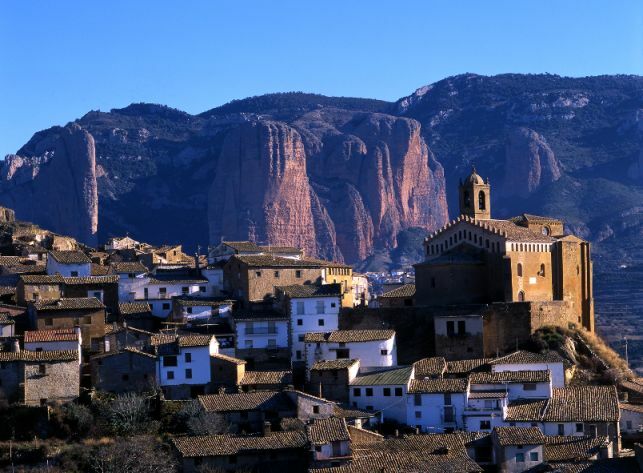 Murillo of Gállego is located at 15 min by car from Riglos. There are lots of activities like rafting, canoe, bungee jump, hydrospeed… If you want more information about activities you can ask us. 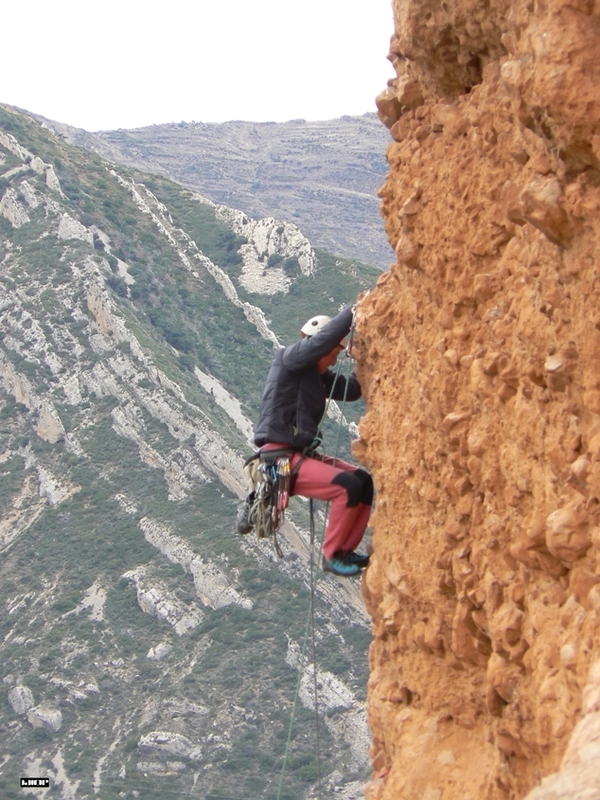 During all the year, since our installations on the Mountain Refuge of Riglos, different companies of active and educative tourism, develop program about activities of sport around the Mallos of Riglos (hiking, initiation of climbing, abseiling, Via Ferrata, adventure tour,…) and the Gállego river (rafting, canoe on the river, hydrospeed, aquatic gymkhana), but also programmes of nature discovery class and guided hiking with young and scholastic groups. Come to discover the natural environment of the Mallos of Riglos, which are full of possibilities for all people, it will surprise you. The perfect place for mountain-climbers and for those who practice the canoe kayak. 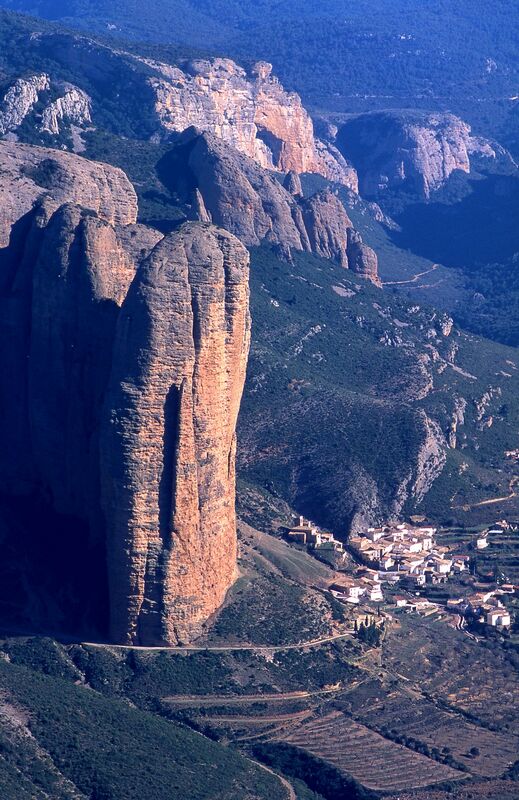 This village it’s very close to Riglos. It’s the place of climbing and you have to visit it. Picture taken and given to the refuge of Riglos by the neighbour Rogelio Roussel. 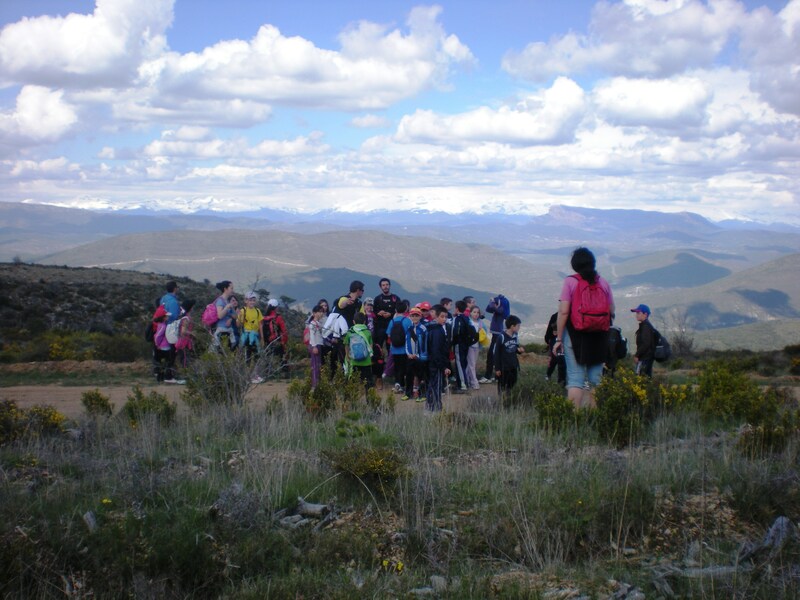 Murillo of Gállego is known as an active centre of aquatic sports, rafting, hydrospeed and kayak. 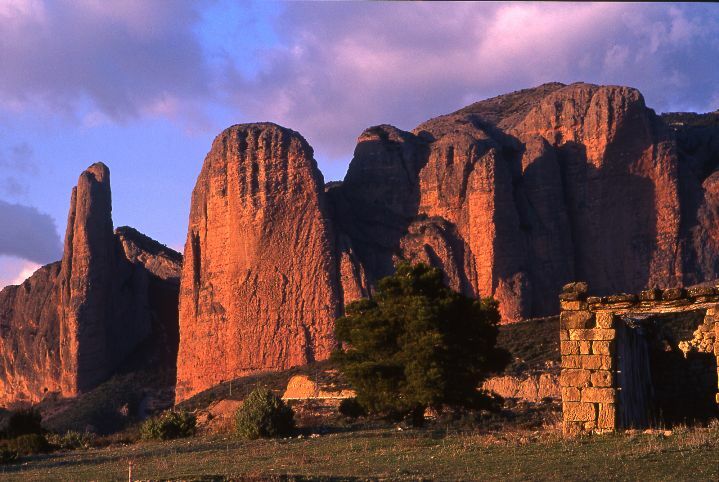 Picture taken and given to the refuge of Riglos by the neighbour Rogelio Roussel.